At first glance, these should be happy days for the European renewables sector. Energy from renewable sources (RES) is firmly established in the mainstream of the power industry. Installation costs for wind and solar continue to drop: having fallen already by 75 percent in 2010-2017, PV costs are projected to fall by more than half again in 2015-2025. Mindful of their international and in some cases also their domestic commitments, governments have been setting some ambitious renewables targets for 2030 and beyond. Even the IEA, once a notably sceptical voice on renewables, has predicted that wind will be the largest source for power generation in Europe by 2027. But of course life is never that simple. The days when the industry could sustain strong growth in revenues and profitability just by chasing the fattest feed-in tariffs, surfing the waves of subsidy as they washed across Europe, are long past. With maturity, the sector faces more complex problems. It must grapple with the fundamentals of commodity markets; sell itself to new classes of customers and investors; and work with governments, regulators and system operators to exploit the new technologies that can make whole power systems work in more sustainable and efficient ways. And whilst the broad outlines of the next stages in the energy transition are widely accepted, the details of how best to achieve it remain a matter of debate. No two jurisdictions in Europe present the sector with quite the same opportunities or challenges. 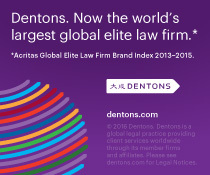 Dentons lawyers gave brief sketches of the renewables sectors in their home markets, covering 12 of the 20 countries featured in Investing in renewable energy projects in Europe – Dentons’ Guide 2019. We summarise below the key talking points from their presentations (the slides from which can be accessed here). Germany produced more electricity from renewables than from coal for the first time in 2018. The growth in RES capacity may not be so large in 2019, but if buildout rates are slowing down a little, the Energiewende overall is changing gear rather than coming to a halt. The new financial support mechanisms are functioning well. The recently announced conclusions of the German government’s Coal Commission point the way to a complete phase-out of coal-fired generation. The publication of an action plan for grid expansion further indicates the German government’s continuing commitment to taking the energy transition into its next phase, and interest is strong from other sectors of industry, as the activities of German companies in the e-mobility and hydrogen sectors show. In France, the government plans to more than double wind and solar capacity by 2023, with a further doubling of solar and 50 percent expansion of wind in the following five years to 2028. Auction mechanisms have succeeded in bringing down the price of supporting RES. Procedural changes should reduce the potential for objectors to delay projects. At the same time, it is worth remembering that the initial trigger for the gilets jaunes protests was an increase in carbon taxes: in France as elsewhere, there is an inevitable tension between the need to adopt policies to avert the “end of the world” and the need of ordinary citizens to survive financially until the “end of the month”. The market fundamentals for the RES sector in Turkey remain strong – notably, growing demand for power and a strong government commitment to reducing dependence on imported fuel. At present, the regulatory regime favours either very large (1 GW+) or quite small (up to 1 MW) projects. For the latter, there is a feed-in tariff / premium support mechanism; for the former, support is based on auctions. It is unfortunate that two of these were cancelled in 2018 – one of which would have included the country’s first offshore wind project – but it is hoped that these will be reinstated. In Poland, 2019 should be a very busy year for RES projects, as the government focuses on meeting its 2020 RES targets. After a period in which various measures were taken to discourage onshore wind, auctions will be focused on solar and onshore wind. As in many markets, the longer term future depends on electricity market reform to integrate large amounts of intermittent renewable power. Italy has set itself ambitious plans for increasing its share of RES to 2030, focused on wind and solar. At present, it is a little less clear how these will be supported in terms of any public subsidy. On the other hand, the secondary market remains active, and Italy is one of the jurisdictions where there is considerable excitement around the prospect of subsidy-free developments, possibly financed in part by arrangements with non-utility industrial offtakers (corporate PPAs). The Czech Republic and Slovakia demonstrate some of the same features as the Italian market, in slightly more extreme form. The boom years were some time ago, and for the moment, these jurisdictions present secondary market, rather than development opportunities. As in Italy and some other jurisdictions, the authorities are now investigating whether the subsidies of some existing projects were properly awarded – did they, for example, commission exactly when they claim to have commissioned? Careful due diligence is therefore required when assessing acquisition opportunities. In the UK, the renewables industry faces some challenges as a result of Brexit, particular if the UK leaves the EU with no deal. However, the government has recently committed to continue to hold subsidy auctions with a focus on offshore wind every two years, and – with a third of UK power already coming from RES – it is starting to address the decarbonisation of the heat and transport sectors. For those technologies without the prospect of new regulated support (solar and onshore wind), apart from a proposed new “smart export guarantee” for sub-5 MW projects, the position is starting to improve as steps are taken to make grid charging rules work better for storage and progress is made towards developing corporate PPA models that work in a subsidy-free market. In the Netherlands, the government continues to contest the case brought by the Urgenda Foundation and others (and now twice upheld by the Dutch courts), that it is legally obliged to reduce greenhouse gas emissions by 25 percent against a 1990 baseline by 2020. But it has in any event allocated generous subsidies to RES, including €10 billion under the SDE+ regime this year. As in the UK and Germany, offshore wind is set to grow strongly in the next few years. Spain is another jurisdiction where interest in corporate PPAs is high, particularly among projects that have not secured support in the auction-based regime that began to operate in 2017. Some projects that did secure such support face a challenge to meet their commissioning deadlines. For those with deep pockets, there are opportunities to secure grid capacity where earlier developers’ rights have expired. There are separate incentives for self-consumption and projects in the Spanish islands. For the renewables industry in Russia, progress has been slow for many years. Local content requirements and a bureaucratic, highly centralised power regime, have not helped, and the method of procuring RES power, being based on capacity and capital expendture, also sets it apart from other jurisdictions. But there are signs that the pace is starting to pick up. There are good prospects for self-consumption projects up to 25 MW, and for the energy from waste sector. The renewables sector in Ukraine continues to attract international investment, driven by attractive feed-in tariffs and exemptions from import VAT. This looks set to continue under the new auction-based support regime that will take effect from 2020, but the industry’s resources will be stretched to meet the end-of-2019 deadline for projects to be eligible for subsidies under the old regime. Alongside our own colleagues, industry stakeholders contributed insights in keynote speeches and a panel discussion (the slides from the keynote speeches can be accessed here and here). The broad, long-term direction for the renewables industry appears to be set, and in the right direction. As always, stability of regulation will be an important factor in realising the sector’s potential. But increasingly, its success will depend on the development of new investment approaches – not only to RES projects themselves, but to the development of the grid and of technology to make it work more efficiently, harnessing the power of big data, and facilitating new market models. If you would like to discuss any of the issues raised in this post, or any other aspect of European renewables, please get in touch with any of the lawyers listed in our guide, or your usual Dentons contact. DECC’s latest consultation on Feed-in Tariffs – an Era of “FIT Austerity”? The UK Department of Energy and Climate Change (DECC) has launched a consultation proposing savage cuts in the levels of subsidy under the Feed-in Tariffs (FITs) regime for small-scale renewable electricity generation (the Consultation). This comes only a few weeks after DECC announced the ending of more or less all subsidies for onshore wind, the removal of the renewables exemption from the Climate Change Levy and other proposals designed to reduce the costs of renewable subsidies significantly. What does the Consultation say, and what does it mean for the future of renewables in the UK? We look first at the background of the FITs regime and then at the detail of the proposals. The legal foundation for the FITs regime was inserted very late in the Parliamentary passage of the Bill that became the Energy Act 2008. Although there had been pressure to include provision for FITs from the moment the Bill was introduced in January 2008, the then Labour Government only finally gave in to it on 5 November 2008, by which time the Bill was rubbing shoulders in the Parliamentary timetable with legislation designed to avert financial meltdown as a result of the banking crisis. Perhaps we should not be surprised that a scheme launched in the far-off days of Gordon Brown’s premiership should now be in the process of being dismantled, after 5 years of apparently too successful operation, as part of the current Conservative Government’s attempts to reduce public spending (whether funded from taxation or levies on consumers). To see quite how different the world looked in 2008, it is worth recalling that Ministers then looked forward to a time when, by 2020, the Renewables Obligation (RO), newly modified to include different bands of support for different technologies would be “worth about £1 billion a year in support of the renewables industry”. Current annual support under the RO runs at around three times this level, and it may hit £5 billion by 2020. During the passage of the 2008 Energy Bill, EU Member States were set the targets for the percentage of final energy consumption from renewable sources that they would have to meet by 2020 under the Renewables Directive of 2009. Some suggested that the UK would not meet its target of 15% unless FITs were introduced. There was a widely held view that following the German model of FITs was at least an essential supplement to the RO, and that feed-in tariffs were generally, and could be in the UK, a cheaper way of subsidising renewables. That was perhaps over-optimistic. DECC and Ofgem figures show that in 2013-2014, generating stations accredited under the RO produced 49.6 TWh, or 16.3% of electricity supplied in the UK. At the same time, FIT installations produced 2.6 TWh, or 0.84% of the UK’s final consumption of electricity. But whilst the output of RO-subsidised generation to FIT-subsidised generation stood in a ratio of about 19:1, the comparative costs of RO were no more than 4 times those of FITs. Another comparison from DECC’s evidence review of FITs is even more interesting, when it calculates that the p/kWh cost of FIT-generated electricity is about 3 times the level of the strike price under the proposed Contract for Difference (CfD) for the Hinkley Point C nuclear power station. Perhaps this should come as no surprise. FITs were intended as a way of encouraging “microgeneration”. One of the ways that renewables resemble other forms of power generation is that they tend to be more cost-effective on a larger than on a smaller scale. But FITs were not just about meeting targets: they were to make renewable generation accessible to individual households for whom trying to deal with the RO was (in the words of one MP, apparently speaking from personal experience) a “bloody nightmare”. FITs would be simple, and they would popularise renewables. That part certainly seems to have worked. As DECC notes, the scheme has all but reached 750,000 FIT installations already – a level it was not originally expected to reach until 2020. DECC says that the deployment of FITs has been significantly exceeding its projections both in terms of numbers of installations and installed capacity. As a result, the FIT scheme has put undue financial pressure on the Levy Control Framework (LCF), which was created to limit the extent to which consumer bills increase to fund the subsidies for low-carbon generation. The measures proposed in the Consultation are intended to remedy these problems. hydro installations with a capacity >2MW (Large Hydro) – from 2.43 p/kWh to 2.18 p/kWh. Installations with smaller capacity would also see their tariffs reduced, in the case of solar PV, even more steeply, with 4 kW installations having an 87% reduction in generation tariff levels. In addition, the different capacity-based generation tariff bands for each technology would change (their number being reduced in the case of wind and hydro and the boundaries redrawn for solar). The changes would mean that for future solar PV installations, the generation tariff (received on all the power they generate) would be a much less significant component of their revenue stream than it has been historically. For those receiving the export tariff for the electricity which they export (or are deemed to export), the export tariff is likely, at least initially, to be higher in p/kWh terms, but by far the largest benefit for those who consume the renewable electricity that they produce will be in the avoidance of the costs of purchasing electricity generated elsewhere from a third party supplier. The problem for most solar installations though, especially on domestic premises, is that for much of the year, the bulk of household energy consumption tends to occur at times when there is no sun and no generation. The solution to that would be to connect your PV panels to a battery and store the electricity generated during daylight hours for the evening. But – needless to say – the Consultation contains no proposals for any new German-style subsidy for adopting storage technology. At present, FIT generation tariffs “degress” periodically by a fixed percentage automatically, but can degress further if deployment reaches specified thresholds (contingent degression). a further degression of 5% if deployment of FITs exceeds DECC’s deployment projections, and 10% if the cap (discussed below) on the eligibility of new projects for the FIT scheme is reached. The Impact Assessment takes as a working assumption the proposition on which DECC consulted in July, that future FIT eligible installations will not be able to protect themselves from the impact of degression by applying for preliminary accreditation when they have planning permission and an accepted offer of a grid connection, thereby “locking in” to the higher tariff band prevailing at the time of preliminary accreditation for a period of between 6 and 30 months (depending on technology and ownership of the installation) provided that they are commissioned and accredited within that period. Previously, both generation and export tariffs have risen automatically in line with the Retail Price Index (as under the RO). New installations will see their tariff payments rise according to the movements of the Consumer Price Index link (as under the CfD regime), which is less generous. So far, the proposed changes, although they slash the amounts of support available to new installations, leave the basic architecture of the regime in place. But the existence of the proposed new FIT regime is a much more precarious thing than might be suggested by any of the above. unlike the measures relating to generation tariffs and degression, the caps would apply to anaerobic digestion (AD) installations as well as solar, wind and hydro. With exquisite understatement, DECC observes: “We recognise that implementing deployment caps presents significant logistical challenges.”, although DECC has outlined a number of possible ways in which the caps might be administered (essentially, by Ofgem or by licensed suppliers). Anticipating the possible objections to a system where eligibility for a particular tariff (or any support at all) would depend on the relative timing of accreditation of different installations, measured in seconds, DECC proposes to suspend the FIT regime pending any better suggestions. Anticipating the objection that a cap will simply not achieve its purpose of controlling costs, the Consultation proposes the alternative solution of ending generation tariffs altogether, possibly as soon as January 2016. The industry is, in effect, challenged to accept the capping proposals or face potentially worse consequences. Almost as an afterthought, DECC adds that its consideration of “further amendments to the existing FITs scheme to ensure that it provides better value for money” includes “consideration of whether future applications within a system of caps could be prioritised through a competitive process“. It’s a pity the CfD regime, with its competitive allocation process, wasn’t designed to cover microgeneration. DECC is concerned that (especially in the wind and AD sectors) the “extension” of an existing FIT installation – or developing what is in truth a single installation in a series of separately accredited stages – can be used as a way to gain the benefits of economies of scale associated with larger installations whilst qualifying for the higher generation tariff rates associated with smaller installations, leading to “overcompensation”. To put an end to this, it is proposed to “put in place a rule to prevent new extensions claiming support under FITs.” No detail is given as to how this will work in practice. When the Energy Bill was being debated back in 2008, three issues were often raised (not necessarily in connection with FITs) on which less progress has been made in the intervening years than could have been wished: smart meters, the impact of small-scale renewable generation on distribution networks, and energy efficiency. The Consultation has something to say on each. DECC propose to end the practice of estimating how much electricity smaller installations export to the grid (deemed exports) in favour of full metering of exports, and may take further measures to enable remote generation meter reading. The key question here seems to be whether existing installations of 30kW and below should be compelled to accept smart or “advanced” meters in order to facilitate this more accurate and “remote” measurement of their FIT entitlements. DECC note that deemed exports were meant to be a temporary measure. It remains to be seen whether smart meters will be rolled out before the FITs regime closes to new installations. More accurate measurement of exports would facilitate a further reform: moving to “dynamic” export tariff rates that could reflect changes in the wholesale price of electricity, rather than the current, static export tariff rates. It is a matter of concern to DECC that “the current export tariff is higher than the wholesale electricity price, with resulting overcompensation of generators by suppliers“. This is because the tariff is meant to represent the wholesale price less the value of the transmission and distribution costs which suppliers do not have to pay in respect of FIT electricity (even though, DECC acknowledges slightly confusingly “in certain circumstances these can be additional rather than avoided costs“). DECC propose an obligation to notify DNOs of new small-scale generators to facilitate grid management. The problems of DNOs not being made aware of new generation on the grid are not new. Such an obligation is perhaps a case of “better late than never”, but would no doubt have been more welcome to DNOs when FIT generating capacity was still increasing at a rate unconstrained by the proposed new caps. DECC propose that roof-mounted solar PV installations seeking to accredit at the higher generation tariff rate should satisfy the requirement of being at least in energy efficiency band D before they commission the solar installation, rather than being able to count the installation itself as one of the things entitling them to be certified at band D or above. Under the current regime, the higher tariff sees to have become effectively a default rate, applying to 99% of installations, rather than setting any kind of incentive to improve the energy efficiency of buildings. DECC mentions, but is not yet proposing, the further step of raising the higher tariff threshold to band C.
Finally, DECC is “considering implementing”, but is not yet proposing, changes such that AD plants that sought accreditation under the FIT regime would have to comply with the same sustainability requirements that the feedstock of AD plants seeking support under other renewable incentive mechanisms (e.g. the RO and Renewable Heat Incentive) are required to observe. This would be to avoid FITs becoming a haven for operators with non-compliant feedstocks. In contrast to some of its recent proposals in relation to the RO, DECC has reasserted its commitment to its “grandfathering” policy on FITs, so that existing installations will not be affected by the proposed changes to tariffs and caps. However, the Consultation does not address explicitly the question whether any tariff reductions will affect projects which have been pre-accredited (whilst this was still possible) but have not achieved full accreditation at the point when the new tariffs come into effect. Such projects are likely to be at risk of being subject to the new, lower tariffs if construction or grid connection delays result in them not being commissioned and applying for full accreditation within their pre-accreditation periods of e.g. 6 months (12 months for community projects) for solar PV. But it is to be hoped that if they are commissioned and accredited within their pre-accreditation periods, they will still benefit from the earlier, higher tariffs prevailing at the time of their pre-accreditation. The proposed measures in the Consultation, if implemented, will bring about a drastic change in the FITs regime. Is this anything more than the latest manifestation of fiscal austerity, or are the Government’s proposals for the FITs regime part of a coherent renewables / energy policy? There are a number of points on which the proposals are notably consistent with other statements of the present Government’s policy on renewables. The gentlest decrease in solar PV generation tariffs (a mere 62%) has been applied to the 250-1000kW band which most obviously represents the commercial rooftop solar sector that DECC has said it wants to see expanding. The fact that wind generation tariffs have only been abolished for installations above 1.5kW (with proposed tariff reductions of as little as 37% for the smallest wind installations) tends to reinforce the impression that the current Government’s objections to further onshore wind subsidies owe as much to aesthetic as to financial considerations. There is a general intention that tariffs should be set at a level that encourages “well-sited” installations rather than making viable those that ought not to be viable. As noted above, the UK nearly didn’t have a FIT regime. Political pressure ensured that it did. It may be that calculations of what was and was not politically feasible resulted in the regime being unreformed for too long after its 2012 review. A number of the ideas in the Consultation feel as if they could have been more usefully deployed if they had been proposed much earlier, but may now come too late, and/or in too Draconian a form, to save the regime as far as any significant quantity of new installations is concerned. Whether, in retrospect, the proposals will look like a well marked out path to subsidy-free small-scale renewable generation is hard to assess. However, it is clear that DECC is determined to avoid a situation in which a large bulge of smaller projects that fail to make the relevant cut-off date for accreditation under the RO flood into the FIT regime instead. The proposed caps should stop that. If you would like to discuss any issues arising from this post, please feel free to contact the authors or another member of the London Energy team at Dentons. Why won’t UK shale be subject to the renewable energy community stake requirement? As noted in our recent post on Shared Ownership, the UK Department for Energy and Climate Change (DECC) has published its Community Energy Strategy (Strategy) which anticipates that by 2015, it will be normal for new renewable energy developments to offer project stakes to local communities (and which could be enforced by an enabling power in the draft Infrastructure Bill 2014). At a recent renewable energy industry event, it was asked why shale developers are not similarly targeted by the Strategy to offer stakes to local communities? In short, because it would likely be argued to be unfair. Shale developers have already paid and committed to fulfil minimum work obligations onshore under a petroleum, exploration and development licence, in order to have the right to explore for and later extract hydrocarbons from the sub-surface (and off the Crown). Any later requirement to give a royalty or equity interest to a local community, could be regarded as being analogous perhaps to an unexpected new tax. In addition, having to obtain DECC consent or adding say a community interest company (CIC) vehicle to a hydrocarbon licence, could be administratively cumbersome. That said, renewable developers may argue that buying or leasing surface land rights for renewable energy generation, and later having to give a stake to a local community, is little different philosophically. However, the current Strategy proposal is perhaps designed to address the apparent misalignment between national poll results (which are reported to suggest a majority are in favour of renewable energy); and local communities (who often resist wind and solar developments in their own localities). Such opposition is often then said to be reflected in local authority planning application refusals, which in turn reduces renewable energy development and impacts national carbon targets. By comparison, opposition to shale developments, is perhaps expected to be less driven by local planning or land-use opposition, as opposed to broader ideological and environmental concerns, which may not be as effectively addressed with active community participation – few well-heads will have the “wow factor” of a windmill. In addition, once DECC’s current consultation on granting horizontal drilling access rights (to ease shale and geothermal developments) runs its course (see our recent post Compulsory access rights “in the national interest”), then developers will possibly have less need for community alignment on specifically land-use environmental concerns. Indeed, the relative thickness of exploitable UK shale resources means that relatively few well-pad sites on the surface could be used to access large areas of sub-surface resource horizontally, causing little environmental impact (truck movements apart). This may reduce any justification for giving local communities a substantive share of the profits. It is also important to note that the nascent shale industry, to the extent represented by the recently invigorated UK Onshore Operator’s Group (UKOOG), has perhaps already drawn some of the sting of potential community engagement regulation, by pro-actively suggesting well-pad and production payments (albeit modest in amount) for local communities. Whilst the renewables industry is more mature, numerous and with diverse interests, it may be noted that a sophisticated regulator is rarely motivated to act, except where market failure is perceived. Therefore, if the shale industry were to fail to implement the recommendations volunteered by the UKOOG, DECC may be tempted to re-assess the absence of unconventional developments from the Strategy and Infrastructure Bill’s proposals for community participation. In hindsight, now that DECC has seen a need to prompt the renewable energy industry into volunteering community participation, it appears less likely that community payments divorced from equity stakes or project profitability alone, will meet the regulator’s perception of community needs. For further analysis on the potential application of UK and other international examples for tailoring legislation, farm-in and joint operating agreements in developing unconventional basins, please see our Shale Guide, recently presented and discussed over two days in Washington DC at a World Bank and OGEL symposium, aggregating the learning of representatives covering 18 countries. The Silk Commission, set up to consider possible changes to the powers of the devolved government in Wales, have recommended a new division of responsibilities between UK and Welsh Ministers as regards the consenting of energy projects (click here for their report). The Commission propose that “responsibility for all energy planning development consents for projects up to 350 MW onshore and in Welsh territorial waters should be devolved to the Welsh Government”. This would bring Welsh Ministers closer to parity with their Scottish counterparts in energy consenting: they have long complained that there is no good reason why proposed generating stations with a capacity of more than 50 MW should be determined by UK Ministers if they are Wales, but by Scottish Ministers if they are in Scotland. Although the proposal is not tied to particular technology types, sub-350 MW schemes are always likely to be renewables projects. As in many parts of the UK, new renewable developments are not always popular in Wales. In Wales there have been particular problems as a result of the relevant Welsh Government planning policy document, TAN 8, which encouraged developers to focus their proposals for wind farms on a number of designated areas. So, in Powys, for example, a conjoined public inquiry is currently being held (on behalf of the Secretary of State for Energy and Climate Change) into five proposed wind farms with a combined capacity of several hundred MW. As well as being unpopular with local residents, this kind of concentration of development in a given area presents major logistical problems for developers: the capacity of the road networks to cope with the large numbers of outsize loads that would need to be transported on them to build the wind farms is severely constrained in the largely rural areas involved. Under the Commission’s proposals, Welsh Ministers would have to deal with the consequences of TAN 8 as decision-makers on individual applications. But UK Ministers have so far been very reluctant to give up their decision-making powers over larger Welsh wind projects, even though the objections to them are not confined to Wales itself: the proposed line of pylons that would carry power from mid-Wales wind farms to the Grid in England would pass through Shropshire and has excited plenty of opposition on the English side of the border. Whilst the Commission’s overall plan is for new primary legislation on Welsh devolution by 2017, they point out that the competence of the Welsh Assembly could be expanded by secondary legislation on a shorter timescale. However, it seems unlikely that any action will be taken that would result in Welsh Ministers, rather than the Secretary of State, determining the five Powys applications. The Commission also recommend giving Welsh Ministers the power to approve “associated development” such as roads and substations as part of a development consent order for a “nationally significant” generating station under the Planning Act 2008. At present, absurdly, this can currently be done for English, but not for Welsh projects, meaning that the supposed “one-stop shop” provided by the 2008 Act for consenting complex projects is nothing of the kind in Wales. In a politically charged area where there are probably no perfect solution, the Commission’s proposals deserve serious consideration. Only a few weeks ago, DECC announced the “final” strike prices that were to apply to contracts for difference (CfDs) for the various eligible renewable technologies under Electricity Market Reform (EMR) (see our earlier post on this). But things move fast in the world of EMR. On 16 January 2014, DECC announced that for those technologies considered “established”, there would be no guarantee of securing strike prices at the level of the figures fixed in December 2013. The group of “established” technologies for these purposes consists of onshore wind (>5MW), solar PV (>5MW), energy from waste with CHP, hydroelectric (>5MW and <50MW), landfill gas and sewage gas. For these technologies, it is proposed that strike prices will be set by a process of competitive bidding for which the December figures will function as a cap. For the “less established” technologies (offshore wind, wave, tidal stream, advanced conversion technologies, anaerobic digestion, dedicated biomass with CHP and geothermal) the December strike prices will apply. A decision has yet to be made about strike prices for biomass conversion and Scottish islands projects. Moreover, all technologies will have to apply for their CfDs through allocation rounds – i.e. at specified times, rather than whenever it is most convenient for them to do so. There will be no initial period of “First Come, First Served” allocation of CfDs. The draft CfD allocation framework, originally scheduled for publication in January 2014, will not now be published until March 2014. The DECC announcement is cast as a consultation, but the key points look fairly firm. Although the document lists a number of factors that have been taken into consideration, it is clear that the European Commission’s draft state aid guidelines have played a big part in DECC’s thinking (see our earlier post on the draft guidelines). The draft guidelines place a heavy emphasis on the desirability of competition for subsidies to renewable generators. There can be no doubt that the change of approach on strike prices ought to improve the chances of gaining state aid clearance from the Commission for the CfD regime. But what will be the practical and wider impacts of more projects having to compete on strike prices sooner? How “technology-specific” will each auction be? How frequently will auctions take place? Some questions will have to wait for an answer until we have seen the allocation framework. For some time now, it has been clear that the allocation framework will be a hugely important document. Assuming that DECC sticks to its overall timetable, there will not be very much time to consult on the first allocation framework before the package of EMR secondary legislation that requires Parliamentary approval is laid before Parliament. In the meantime, it is a fair bet that some projects which might have applied for a CfD will now opt for the more predictable support mechanism provided by the Renewables Obligation (RO) instead (as they will be able to do until 2017). Many of these projects are not large and the process of competing on strike price can only add to the costs of a CfD application. But if more opt for the RO from the outset, how will that affect the budget available for CfDs under the Levy Control Framework? And what will be the implications for any state aid analysis of the RO if projects that fail to win CfDs in the auction process can go on and claim what turns out to be a higher level of support under the RO? The Department of Energy and Climate Change (“DECC”) today published final strike prices representing the level of income in £/MWh hour that new renewable generating plant will be guaranteed to achieve under Electricity Market Reform (“EMR”) Contracts for Difference (“CfDs”). We compare the final prices with the draft strike prices consulted on in July for selected technologies below. Technologies with higher final strike prices included Biomass with CHP (up £5 to £125 for all five years), Anaerobic Digestion and Geothermal. Landfill Gas, Sewage Gas and Hydro all ended up with lower final strike prices. The prices proposed for Biomass Conversions, Wave and Tidal Stream projects have not changed, and those for Offshore Wind have only changed for 2018/19 (down £5 to £135). It is hard to avoid the conclusion that some of the changes are intended to have a political resonance. Reduced subsidies for onshore wind and solar PV should mean fewer locally unpopular wind and solar farms, at least in areas where the weather makes the business case highly sensitive to subsidy levels. But whether you think you are a winner or a loser, the strike price story is not over yet. DECC will have a lot of flexibility in terms of writing – and re-writing – the rules for each CfD allocation round, and today’s publication includes strong hints that some or all of these “administratively set” strike prices could be swept away and replaced by a system of competitive bidding sooner rather than later, perhaps as part of the price for persuading the European Commission to approve the state aid aspects of EMR.